1960 Vintage Honeycomb moth Print. 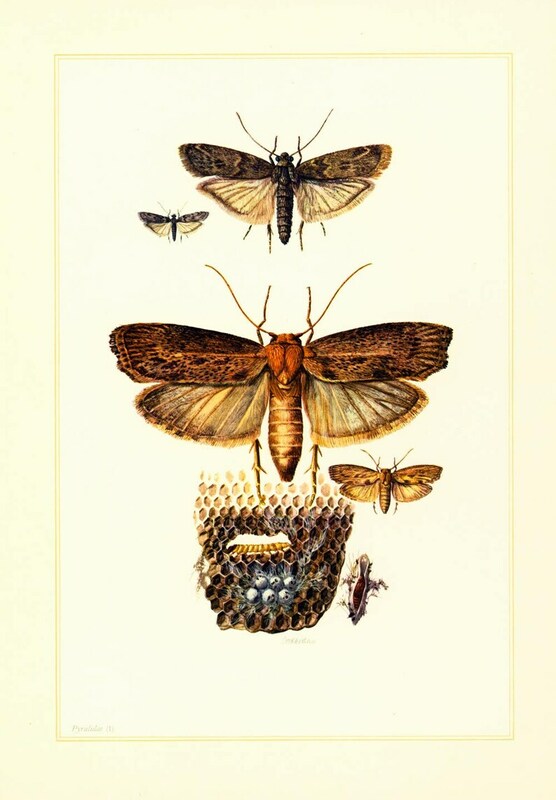 Greater wax moth Illustration. Insect Pest Apiculture. Entomology. Natural History. Insect wall art - Insect Biology Art Print. Apiculture Honeycomb Chart Print. French school chart, published in Paris. Please check the scans of the print.My ads have detailed photos of the exact print you are buying. 1960 Vintage Hummingbird Hawk Moth Print. Butterfly Illustration. Insect. Caterpillar. Criptic coloration. Entomology. Natural History. 1960 Vintage Rhinoceros Beetle (Oryctes nasicornis) Print. Coleoptera Illustration. Insect Print. Entomology. Natural History. Science. 1960 Vintage Golden Beetle Print. Illustration. Insect Print. Entomology. Natural History. Science. 1960 Vintage Red Beetle Print. Coleoptera Illustration. Insect Print. Entomology. Natural History. Science. 1960 Vintage Clouded Yellows Print. Sulphur Butterfly Illustration. Insect. Caterpillar. Criptic coloration. Entomology. Natural History. 1960 Vintage Cuckoo Wasp Print. Antique Wasp Illustration. Insect Print. Entomology. Natural History. Science. 1960 Nymphalis antiopa. Butterfly Illustration. Spiny elm caterpillar. Insect. Entomology. Natural History. 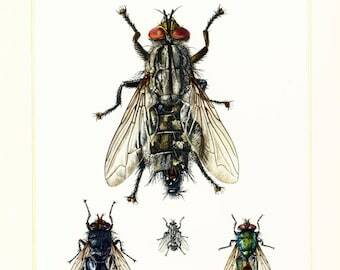 1960 Vintage Lucilia Fly Print. Geen bottle fly Illustration. Blow fly Cluster fly. Insect Diptera. Entomology. Natural History. Print came SUPER fast all the way across the pond and arrived extremely well packed and just as described! Highly recommended! Magnifique ! Encore plus beau en vrai qu'en photo ! Merci beaucoup Sylvie de la rapidité d'envoi et des échanges toujours chaleureux. 1960 Vintage Common Brimstone Print. Butter coloured Fly Butterfly Illustration. Insect. Entomology. Natural History. Shipped immediately, arrived very quickly from France. Arrived exactly as described. Love it! 1960 Vintage Ant Print. Ants Illustration. Insect. Entomology. Ant Wall Art. Science. 1960 Vintage Large Blue butterfly Print Butterfly Illustration. Gossamer-winged butterflies. Insect. Caterpillar. Chrysalis. Entomology.